Ep. 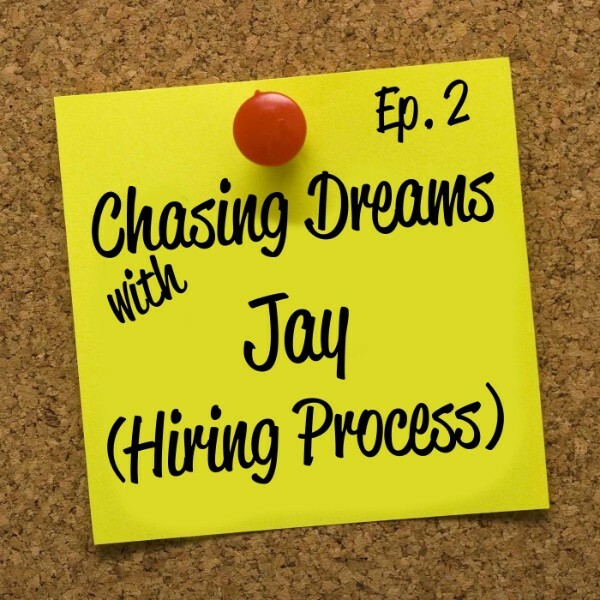 2: Jay – The Hiring Process | Aimee J. The internet world is abuzz with people promoting and seeking entrepreneurship. But that’s not the only route for many dream chasers. Some people are wired to work in a corporate or larger company environment, and they love it! It is actually their dream. 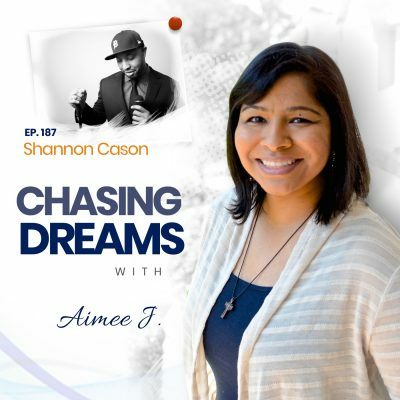 In this episode of Chasing Dreams Aimee J. does us all a service by chatting with her friend Jay who is a corporate recruiter. She asks him all kinds of questions having to do with the job market, applying for jobs, resumes, cover letters, and interviews. Jay’s got tons of experience and a great feel for what is effective in the job search and what isn’t. You can hear the entire conversation on this episode of Chasing Dreams. You can’t use a cookie cutter approach when applying and interviewing for jobs. What does that mean? It means that every company you apply with has its own unique way of approaching the interviewing and hiring process. While there may not be a way to research each company for specifics of how they go about assessing job candidates, you can do some powerful things to increase your chances of landing the job. One of the most important is researching the company culture and making sure you know how to speak in terms of the company’s language and values. Aimee’s friend Jay is on the show today to explain why this is so important and how it can make you stand out in the crowd of applicants. Jay’s experience as a national recruiter is invaluable on this point, so be sure you listen to this episode. If you never hear back from a company where you interviewed, count your blessings. It sounds very strange to say that but it’s true. You want to work for a company where people are the most important resource. That means both employees and job applicants are valued. What is a company communicating to you if you take the time to prepare for a job they’ve advertised, go to an interview, put your best foot forward, but they never contact you at all to let you know about the decision they’ve made. At the very least, they are careless. At worst, they could be tipping their hand to show you that they don’t really care about the people who work for them. If that’s the case, you’re much better off not having that job. Hear more tips like this from Aimee’s buddy Jay, a corporate recruiter with tons of experience and great insights into the hiring process. It’s time to bust the “Go to College so you can get a job” myth. At one time it probably was true that a college degree could almost guarantee you a job when you graduate, but not anymore. It simply doesn’t work that way. The job markets are flooded with college grads who can’t find work beyond flipping hamburgers. Why? Because there are many, many applicants who have general educations when what employers are seeking are individuals with specific skill sets. For example: If you graduate with a computer science degree but are not fluent in 3 or 4 of the most needed coding languages, you shouldn’t expect to get a job in your field. There are plenty of people who have taken the time to develop specialized skills, many without the college degree, and they will be the ones gobbling up the jobs. 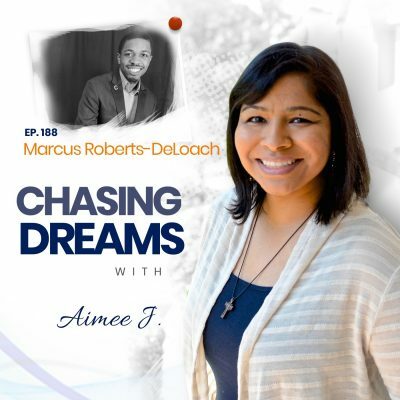 In this episode Amiee’s chatting with a corporate recruiter about tips like this that can help you chase your dreams of landing that perfect job. Be sure to listen. Is your resume up to date and effective? What does that even mean? Do you know? If you don’t, you can’t expect your job search to go well. Your resume is the very best tool you have to market yourself to a prospective employer and it needs to be written and formatted effectively to showcase your skills, experience, and fit for that particular job. Paired with an effective cover letter it has an even better chance of setting you apart so you can land the job. Today’s episode is full of practical advice about resumes and cover letters, how to format them, and why you should do so with a professional look and feel. You’re going to learn something important in this episode, guaranteed. Your #resume is your best marketing tool. Do you know how to use it? [1:12] Introduction of Jay, a national recruiter. [2:55] The ups and downs of the job market and the problem: finding the right people for the right jobs. [6:26] Every company has its own approach: Is there a way to research various companies? [8:20] Why knowing the company culture of the company you’re applying to could make a big difference. [10:20] Why a “no” answer from a company could be a good thing for you. [11:58] What are the differences in the job availability and markets between industries? [13:13] Why tech applicants need to have specific skill sets and programming expertise instead of just a computer degree. [16:05] If you’ve been out of school for a year and are still looking for a job, Jay’s got some great advice for you. [16:57] What is the value of internships? [19:00][ The “go to college and get a job” myth. [20:19] Jay’s advice about resumes and how to craft them effectively. [29:15] Why your resume is a marketing piece and why you should take time in creating it. [31:40] Updating your resume as you progress in your field. [32:58] What is a cover letter and why should you have one. [35:03] Cover letter mistakes: Don’t do these! [36:21] Jay’s thoughts about job hunt sites and how to use them effectively. [38:38] What do you think about LinkedIn endorsements, Jay? [41:20] LinkedIn recommendations: Do they have any value? [43:50] Jay’s thoughts about references on resumes. [46:55] Jay’s website and what it does to help people find and keep jobs. [49:10] The power of a “Thank You” note after interviewing for a position. [51:44] Aimee’s summary of the conversation.